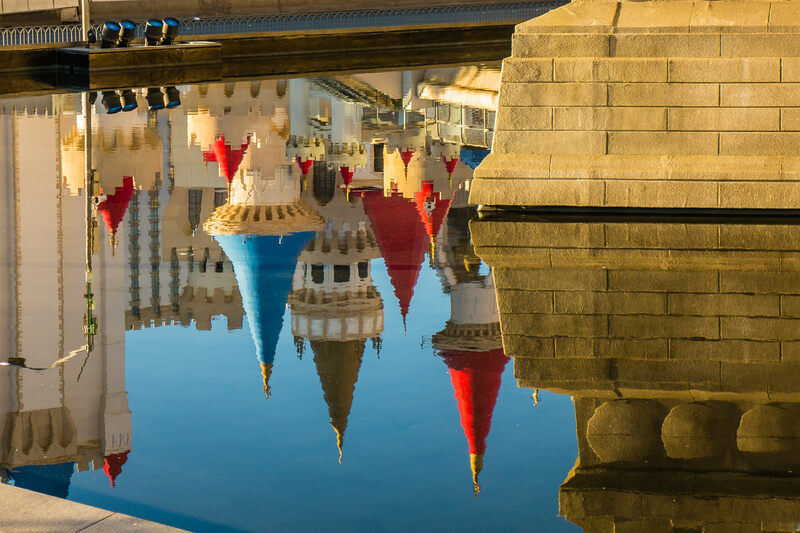 Las Vegas’ Excalibur Hotel & Casino is reflected in a pool at the adjacent New York New York Hotel and Casino. 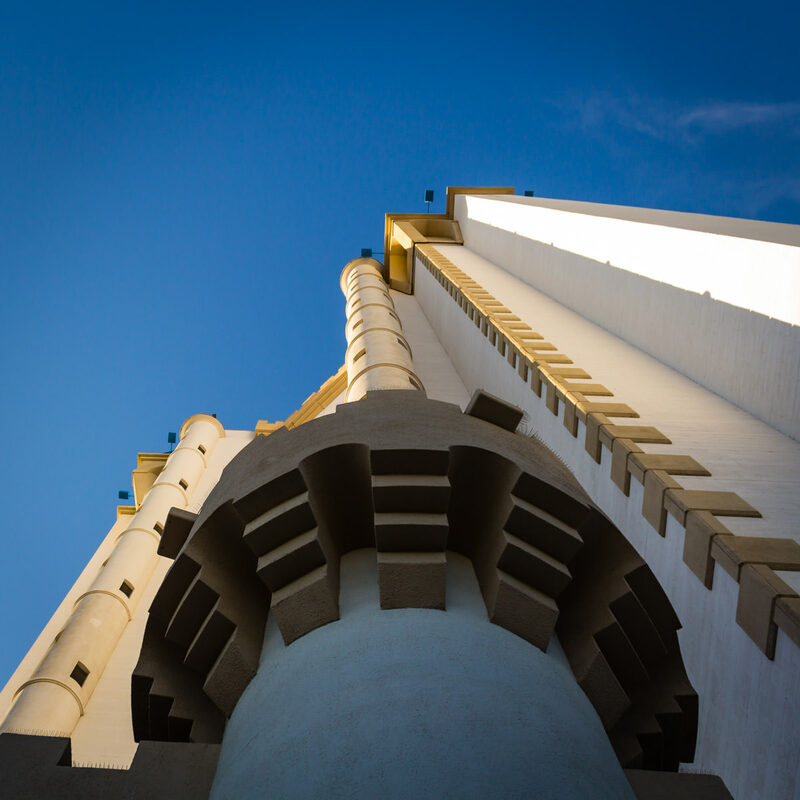 Exterior detail of the Excalibur Hotel and Casino, Las Vegas. 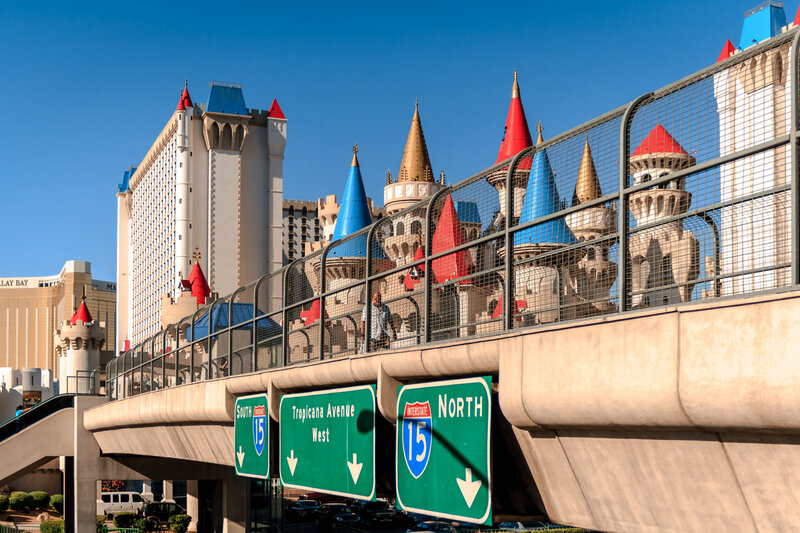 A pedestrian bridge over Las Vegas’ Tropicana Avenue, connecting New York New York with the Excalibur.